At Garrett Whitelock, we’re committed to respecting and protecting your privacy. 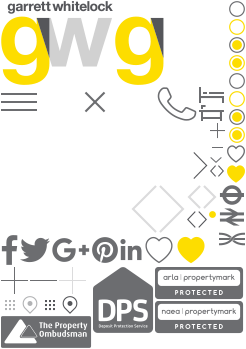 ● We may use your name, address and contact details for the purpose of carrying out our obligations arising from any contracts entered into by you and Garrett Whitelock Ltd such as providing you with products and services you have requested, visiting and arranging viewings of your property. Our legal basis for this use is that it is necessary for the performance of a contract to which you are party. ● We may use your name, email address and postal address to provide you with information, you have requested from us, respond to enquiries or requests from you, communicate with you in relation to those enquiries or requests and arranging visits to your property by our staff. Our legal basis for this use is our legitimate interests, namely carrying out activities in the course of Garrett Whitelock’s business in response to customer enquiries or requests. We may disclose your personal information to any member of our group of companies (this means our subsidiaries, our ultimate holding company and all its subsidiaries [set out here insofar as reasonably necessary for the purposes set out in this policy. To exercise any of these rights, email us at info@garrettwhitelock.co.uk or write to us at 164 Tower Bridge Road, London, SE1 3FG. In addition, you can exercise your right to object to direct marketing at any time by clicking an ‘unsubscribe’ link at the bottom of one of our emails.